"This virtual tour of the world is constructive for thousands of Quebecers and after this planetary voyage, life will no longer be the same for many among them. The entire world is now theirs for the taking. They need only discover it physically" (translation). Françoise Dulac, Mode, société et apparence : la mode féminine au Québec de 1945 à 2000, doctoral thesis (sociology), Université Laval, 2003, p. 105. In 1967, everything was wonderful. 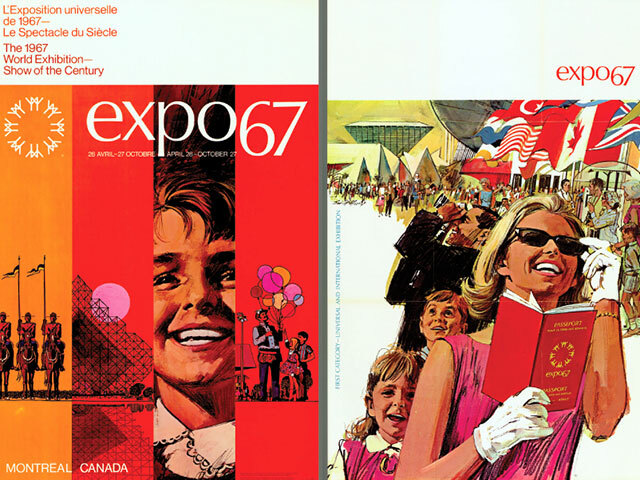 It was the year of love and the year of Expo 67 (translation). 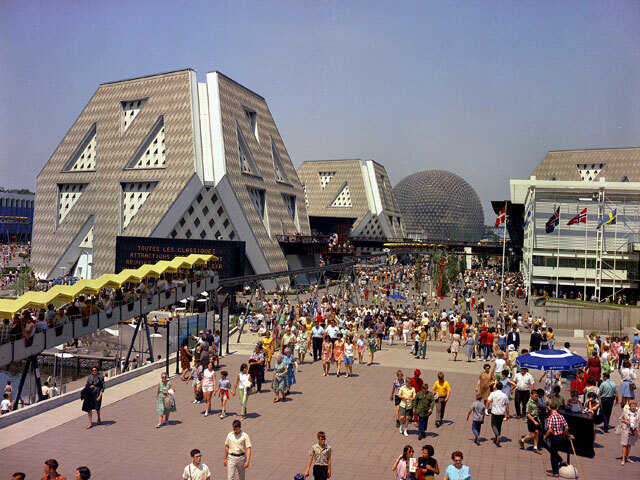 These words, drawn from one of the best known songs by the group Beau Dommage (Le blues d'la métropole, 1975), perfectly describe the dream-like atmosphere of 1967 at the time of the Montréal World Fair. 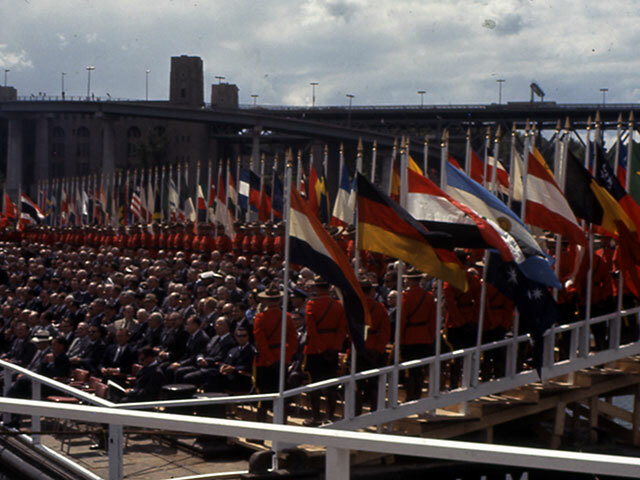 For six months, or exactly 185 days, the Canadian metropolis hosted a huge celebration to which the entire world was invited. 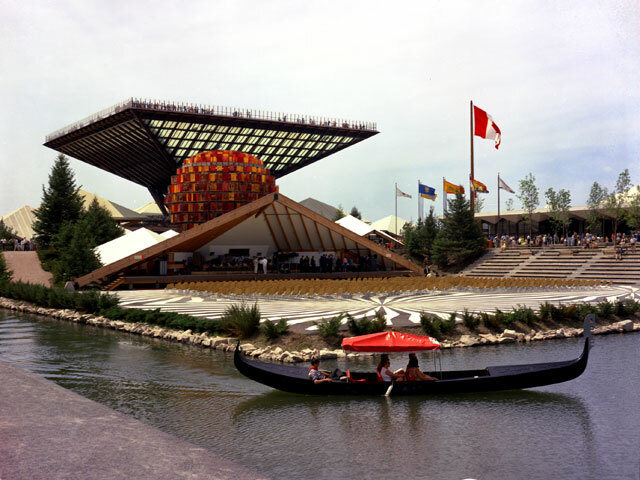 More than any other event, Expo 67 caught the imagination of Quebecers. It was an unforgettable experience for those who attended. 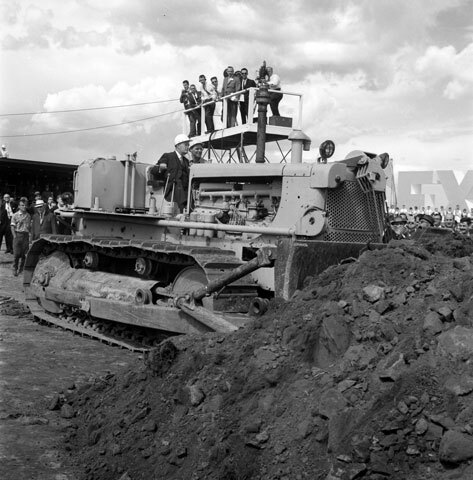 However, the festivities were preceded by several years of hard labour. 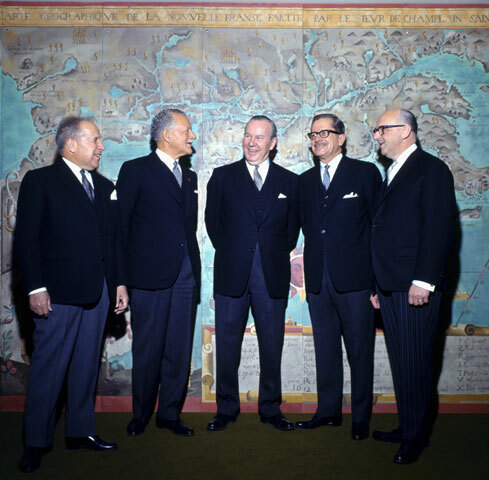 The year 1962, during which Montréal was designated to welcome the World Fair after the withdrawal of Moscow, marked the onset of a hubbub of activity. 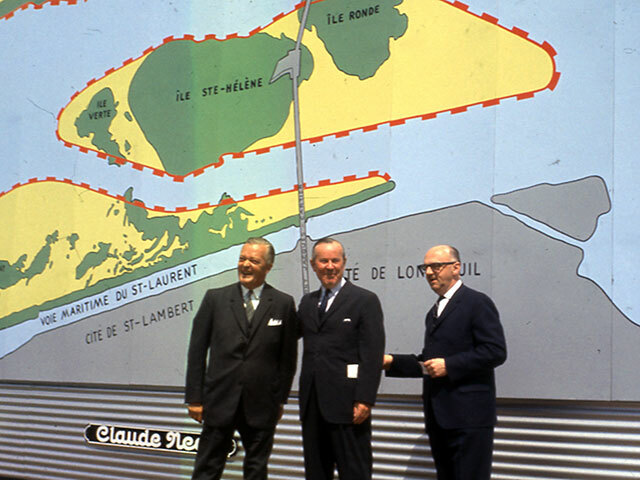 Ile Sainte-Hélène, at the centre of the St. Lawrence River, was chosen as the site for Expo. The island was expanded and another known as Notre-Dame was "invented," to coin the expression of Stéphane Venne in his song entitled Un jour, un jour. 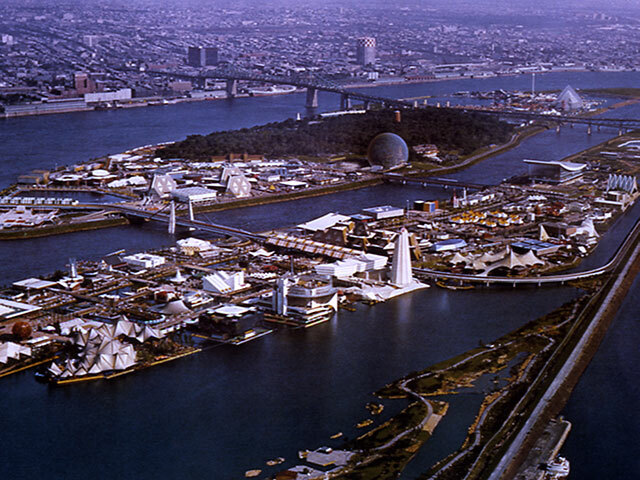 The new island was built with earth dredged from the river and 28 000 000 tons of rock and earth extracted from the bowels of Montréal during the construction of the metro. 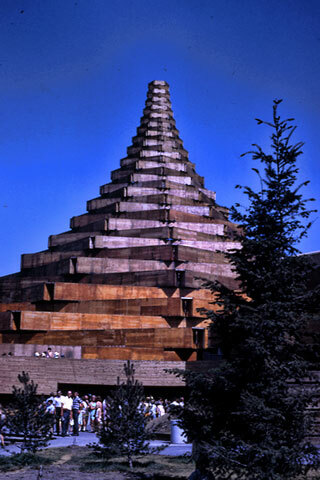 On the site, 850 pavilions and futuristic buildings were then built by a workforce numbering thousands. 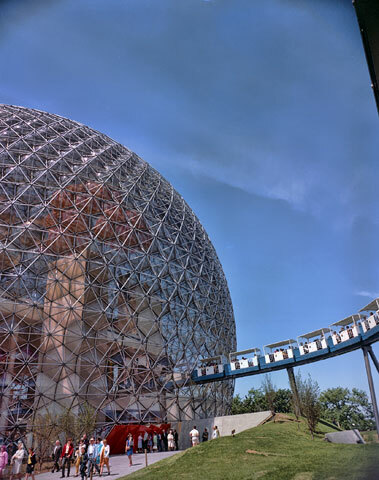 The La Ronde amusement park and Habitat 67, a real estate venue comprising 354 prefabricated concrete cubes consisting of 168 apartments and designed by a young student of architecture from McGill University completed the site. 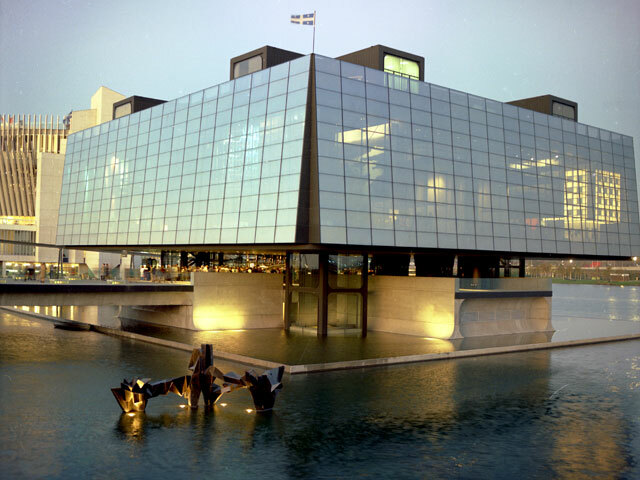 At the same time, Montréal, often referred to by singer Jean-Pierre Ferland as a woman, was undergoing a complete remake with the development of Place Ville-Marie, the skyscrapers of Place Bonaventure and the Montréal Exchange. The investments and efforts were worth it. 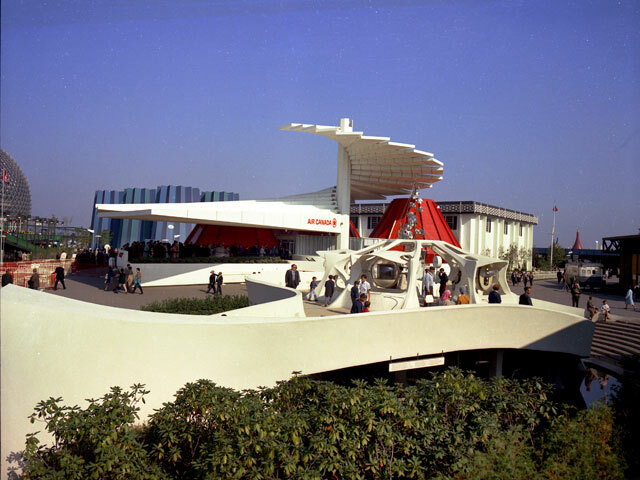 April 28, opening day, 3 000 people crowded around the 200 or so turnstiles at 8 a.m. Official records indicate 300 000 visitors by the end of the first day and 1 400 000 by Day 3. 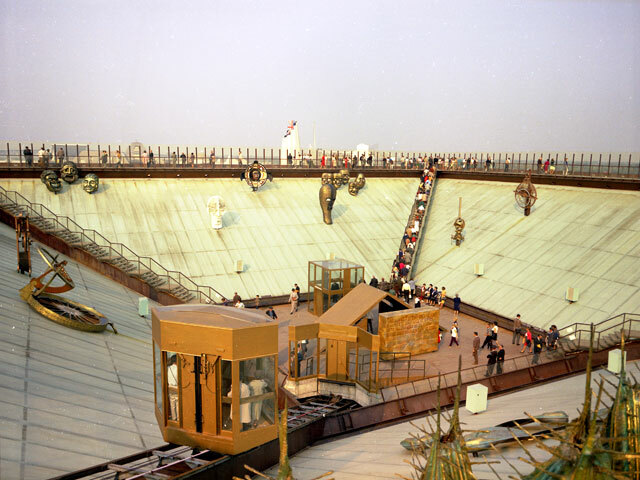 The human sea dried up only six months later on October 29 (220 000 visitors), the last day of Expo. A total of more than 50 300 000 people visited the islands, vastly exceeding organizers' original, extremely optimistic estimates of 30 000 000 at most. 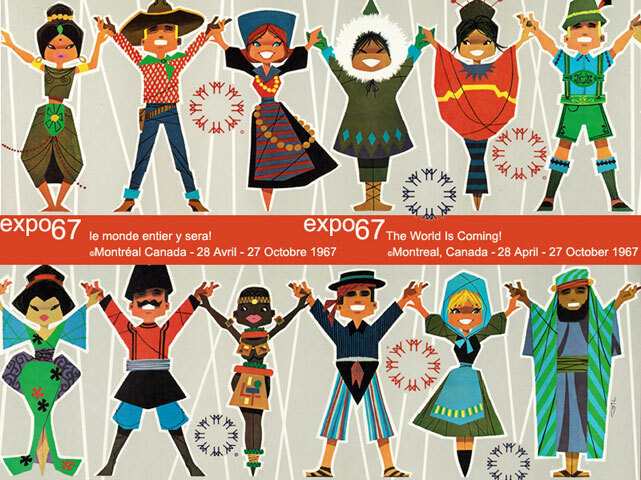 Expo 67 was a ferment of activities of all kinds. 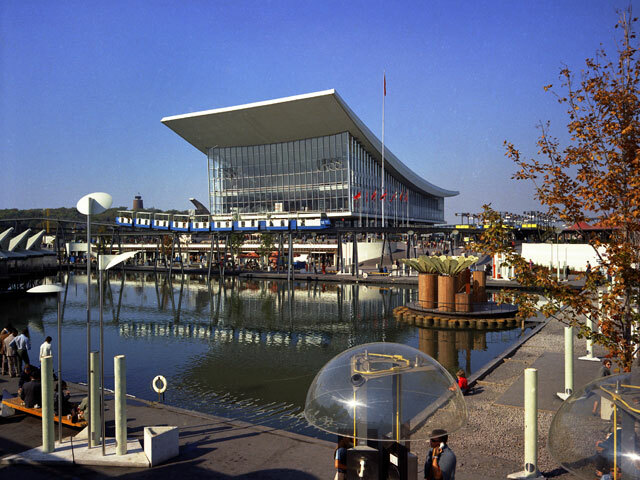 Up to 6 000 free concerts took place and 5 000 films screened. 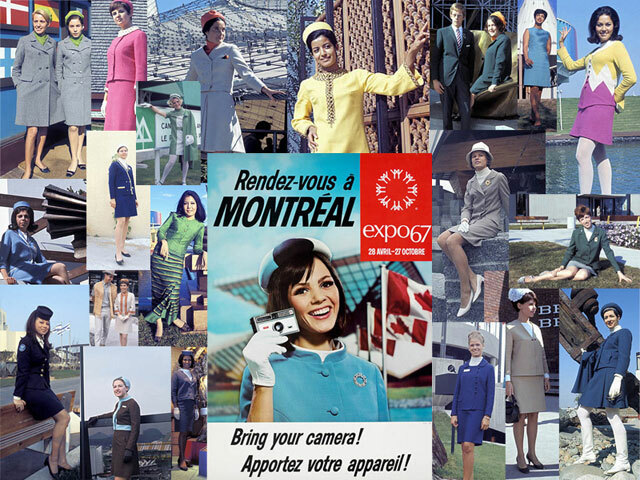 Thanks to Expo, Quebecers could tour the world in a few hours near their own home, discover customs and the gastronomy of dozens of countries, move on and discover even more. 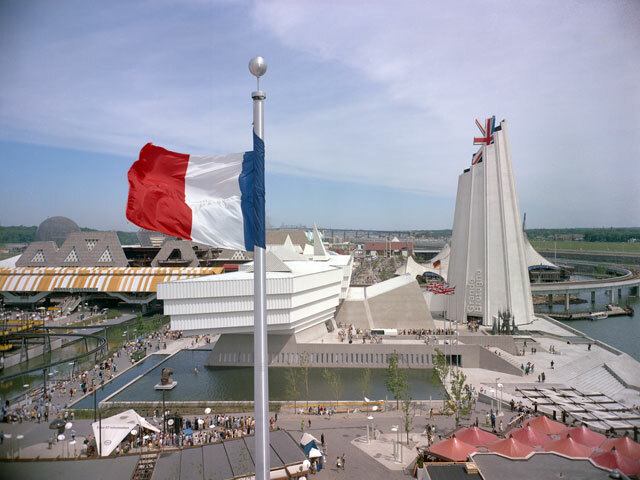 During the summer of 1967, Quebecers who visited Expo were immersed in a hotbed of culture.